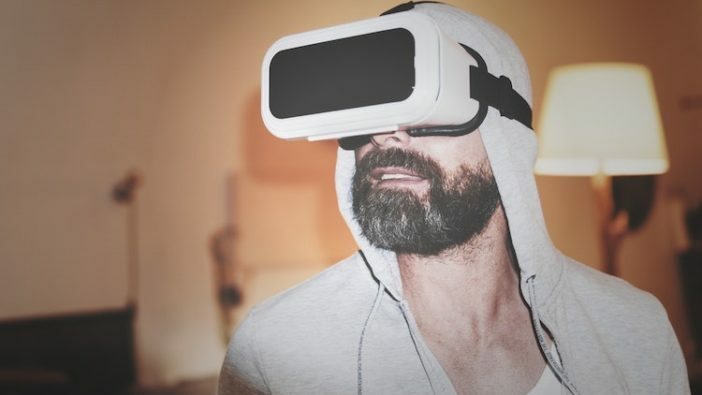 Virtual Reality rooms are one of the fastest growing technology trends in the UK at the moment, and is taking the entertainment industry by storm. It’s not enough anymore to simply watch something – we want to be part of it too, fully immersed and involved with the narrative and story. It began with 3D movies and televisions, giving a little extra reality to our entertainment and making things a little more ‘real’. The next step was then VR, which instead of bringing the story into our universe, let us fully jump in and transport ourselves into theirs. Virtual reality started off on a small scale, with small cardboard headsets that could be linked up to your phone, and provided a small-scale VR experience. We then saw game consoles bringing out VR sets and gaming that could be done at home – an interesting move, but still with it’s faults, as we’ll explore below. VR headsets at home are a monumental change in the way we experience gaming, but the VR games experience at home still comes with drawbacks and limitations. It left us wanting more, and left us wanting a bigger and better way to explore the VR universe. You can usually only play individually, or at maximum in pairs (depending on the game, and the amount of money you’ve spent on tech). Whilst this is totally fine for home use, VR is truly magical when it involves larger groups. The headsets are expensive, and sometimes include wires (preventing you from free-roaming and immersing completely). You might lack space or the ability to truly ‘explore’ your new surroundings. If your front room is a little small, you may need to be cautious about using too much space. The Future of VR Experiences is Virtual Reality Rooms! If you agree with the points above, then we think you’re going to love the news we have regarding virtual reality escape rooms! These group experiences are becoming more and more popular and the rise in popularity means we’ll see more narratives, stories and plots being created. In a group VR experience, especially the wireless VR experiences (where you’re able to free roam without wires or cables) gives the player a true sense of adventure. You’re able to fully immerse into a new ‘reality’ and you can do so in groups of up to 8-10 people – making it even more convincing and exciting! Being able to explore a virtual reality with friends, family or colleagues is something truly unique, and it’s something you can all share with team members. These virtual reality rooms make amazing parties, get-togethers, and even team-building days for colleagues. It’s an adventure in another world, but always within safe boundaries – something rare and appealing to most groups. If you want to try it out for yourself – our Huxley adventure in Aldgate is a must-do, and has received brilliant reviews and customer feedback.